Title: 02/06/1997 - The dental industry's concerns regarding compliance with certain provisions of the Hazard Communication Standard (HCS). The Occupational Safety and Health Administration (OSHA) has, over the past year and a half, undergone extensive discussions with the American Dental Trade Association (ADTA) in an attempt to resolve the dental industry's concerns regarding compliance with certain provisions of the Hazard Communication Standard (HCS). One such concern was the necessity of MSDSs for dental devices, as these devices are already regulated under Food and Drug Administration (FDA) labeling provisions. As fully explained in the enclosed letter to Mr. Thomas Fise of the American Dental Trade Association (ADTA), OSHA has determined that MSDSs are required for dental devices which are not exempt from coverage under the "article" or "consumer products" provisions of the HCS. As you correctly note, the agency's stay of enforcement was lifted on December 16, 1996, and the dental industry is therefore expected to comply with the provision of the HCS. OSHA does not envision a change in its position on this issue, which resulted from a thorough and exhaustive analysis of the issues raised by the ADTA. If we may be of further assistance, please do not hesitate to contact us. I would appreciate receiving an update of OSHA's position regarding MSDS requirements for dental devices. I understand that the 120 day stay of enforcement as to FDA regulated dental devices has now passed. Please let me know whether OSHA is now in a position to make this stay permanent or whether other solutions for the MSDS problem in the dental field are at hand. I appreciate your help and response in this matter. Thank you for your letter of November 21, addressed to Ms. Ruth McCully of my staff and sent as a follow up to the October 11 meeting between yourself, representatives of the Occupational Safety and Health Administration (OSHA), Office of Solicitor (SOL), and the Food and Drug Administration (FDA). This letter provides a recapitulation of the Hazard Communication Standard (HCS) issues that have been under discussion with the ADTA, the Agency's conclusions, and brief explanations for those conclusions. 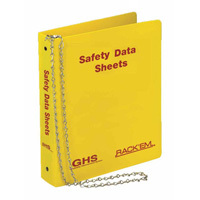 Comply with OSHA 300 requirements with centers and forms from Safety Emporium. One of the ADTA's issues concerned the perceived overlap between FDA and OSHA in the regulation of dental devices. Throughout this process, we have worked closely with FDA to ensure that the integrity of jurisdictional boundaries was respected and maintained, and we hope that, with the assistance of the FDA representatives, we were able to provide you with a better understanding of our respective jurisdictional boundaries regarding dental devices. OSHA's jurisdiction is limited to employees' exposure due to handling or use of hazardous chemicals in the workplace. FDA is concerned with product efficacy and patient safety. Given these different statutory and regulatory mandates, OSHA and FDA were unable to identify any clear areas of regulatory overlap. One issue of specific concern to the ADTA was labeling. We informed you that dental devices which require labeling under FDA regulations are exempt from OSHA's HCS labeling requirements (29 CFR 1910.1200(b)(5)). In your December 12 correspondence, we note your position that Material Safety Data Sheets (MSDSs) fall within FDA's definition of labeling. As we have discussed in earlier meetings, this is unfounded. As the FDA has neither prescribed nor enforced regulations requiring manufacturers to transmit information on the hazards of chemicals to downstream users by means of MSDS's, FDA's labeling provision for Dental Devices is not duplicative and would not meet the criteria of a (4)(b)(1) pre-emption of the OSH Act. 29 USC Section 653(b)(1). This is further discussed in the preamble to the HCS final rule. 59 Federal Register 6126, 6149-50 (Feb. 9, 1994) (package inserts accompanying FDA regulated dental devices cannot be considered to be material safety data sheets (MSDS)). Another issue concerned the identification of dental devices that are covered by the HCS. In our communication of August 22, 1995, from Assistant Secretary Joseph A. Dear, we made a commitment to "provide further compliance assistance to the ADTA to ensure that the industry is fully applying all the existing HCS exemptions." OSHA worked closely with FDA in this effort. We conducted a broad hazard determination of the FDA's defined classes of dental devices, beginning with a review of FDA regulation, 21 CFR 872, Dental Devices. Next, we excluded devices that failed to meet the HCS definition of a hazardous chemical. We also excluded those devices that met the "article" and "consumer product" exemptions under the HCS (29 CFR 1910.1200(b)(6)). In this regard, articles are exempt under the HCS if they are "a manufactured item other than a fluid or particle: (i) which is formed to a specific shape or design during manufacture; (ii) which has end use function(s) dependent in whole or in part upon its shape or design during end use; and (iii) which under normal conditions of use does not release more than very small quantities, e.g., minute or trace amounts of a hazardous chemical (as determined under paragraph (d) of this section), and does not pose a physical hazard or health risk to employees." If a dental device does not potentially release hazardous chemicals during normal use, it would be considered an article, e.g., an endosseous implant, a dental chair, a dental handpiece, an x-ray unit, all would be considered articles and would be exempt from the HCS. If hazardous chemicals are released during normal use, the manufacturer is required to create an MSDS. Our hazard determination effort generated two tables of dental devices referenced by class (enclosed). The first table identifies "Dental Devices Which Require Manufacturer's Determination for Presence of Hazardous Chemicals and, if Present, Would Then Require a MSDS." The second table identifies "Dental Devices Not Covered by the Hazard Communication Standard." Please bear in mind that these lists represent a preliminary hazard determination performed on a broad category of dental devices. The device manufacturer or importer maintains the responsibility and right to perform a more specific hazard determination to decide whether or not a particular device may be considered a hazardous chemical(s) under the HCS. 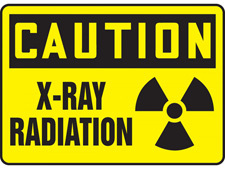 The HCS requires that a MSDS be generated only if the device contains a hazardous chemical as shown by the manufacturer's or importer's hazard determination. HCS-covered dental devices are exempt from HCS labeling requirements (but not exempt from MSDS requirements) whenever there is an existing FDA labeling requirement for that device.